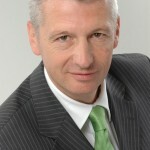 Andreas Dinges joined Adecco in 2006 as CEO of DIS AG in Germany. In 2009, he became Regional Head of Germanyand Austria and a member of the Executive Committee. Together with his team Andreas has successfully streamlined Adecco in Germany and further improved our market position. Since 2011 Adecco has gained market share in Germany and has continued to achieve the leading profitability amongst its peers. “Under Andreas’ leadership Adecco Germany has strengthened its number two position. And with his focus on people, DIS AG has been on the top of the Great Place to Work® list every year” said Adecco Group CEO Patrick De Maeseneire. “It’s a great pleasure to work with Andreas and I am happy he will stay as a member of the supervisory board of DIS AG and euro engineering AG, our Professional Staffing companies in Germany. ”Andreas has decided to step down for personal reasons by the end of June, 2015. “I understand and respect his decision,” De Maeseneire said. The search for a successor has started and an announcement will be made once the selection process has been completed. Andreas will remain in his current position for the coming months to ensure a smooth transition of responsibilities. The Board of Directors and Management would like to thank Andreas for his contribution to the Group’s achievements and wish him continued success, personally and professionally.